Long gone are the days of the once messy and time-consuming process that made up lowering a front end. Progressive has changed the game with their Drop-In Fork Lowering Kit. Pull up to two inches out of the front end of your bike without the hassle of disassembling the forks or even changing out the oil. 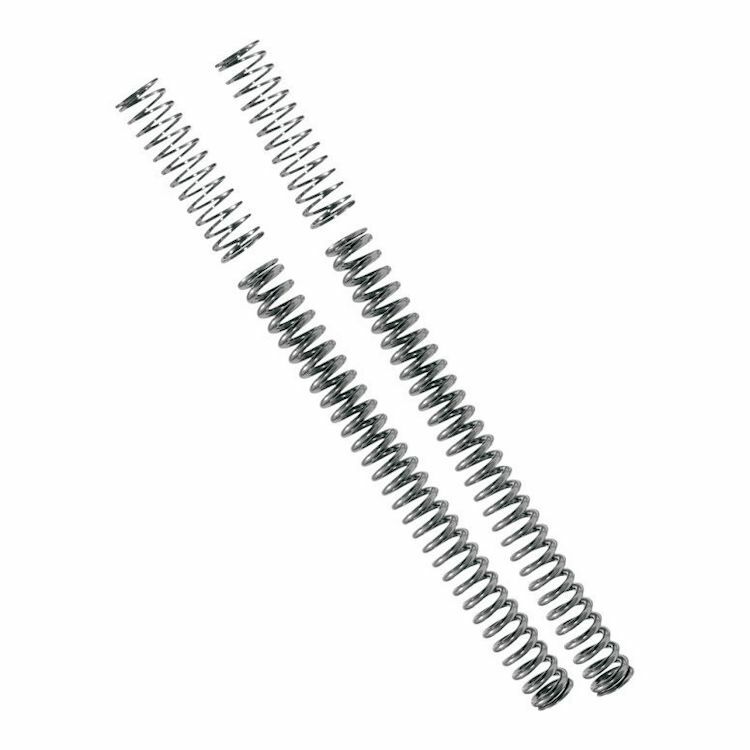 Prior to purchasing springs that are different than your OEM length, please verify that wheel and suspension travel can be altered without causing clearance issues - common interference spots include triple trees, fenders, frame, and, of course, the ground.